Deep in the Caucasus region, where Western Asia and Eastern Europe meet, the small country of Georgia has a number of surprises. Not least is the Katskhi Pillar, a 130 feet high limestone monolith. Even more surprising than the monolith itself, however, is the fact that there is an Eastern Orthodox monastery on its apex. It is not a large monastery by any means – space alone demands its diminutive size. The top of monolith, known locally as the Pillar of Life, has an area of just 150 m2. No one knows for sure how the monks got to the top of the pillar or indeed how they carried the building materials up to a height that would still be a challenge today, let alone over a thousand years ago. A popular local legend has it that a rope was carried to the top by an intrepid monk. Then he pulled an iron chain to the summit which was later connected to the roof of the church at the base, making the carrying of large objects (and people) possible. 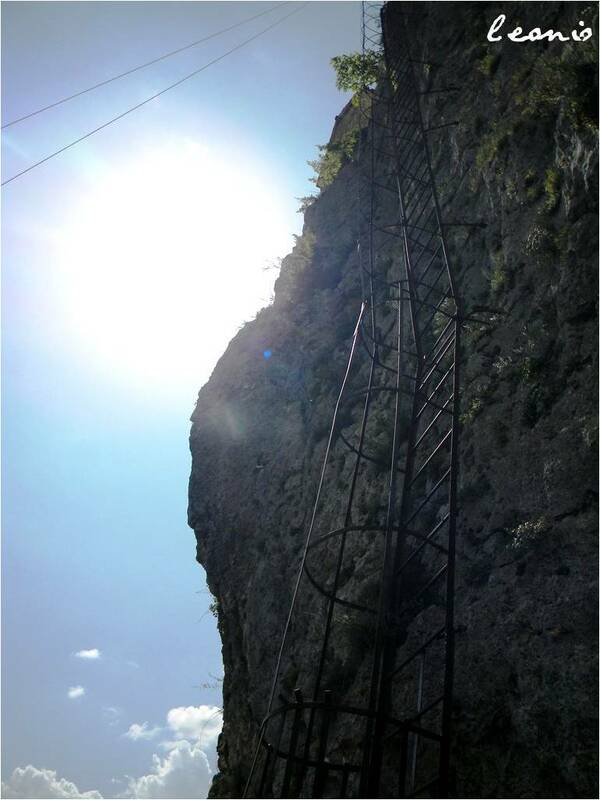 An iron ladder now runs from the base to the top, making the journey a lot easier yet nevertheless only for the very fit.h century and lay abandoned from the thirteenth century onwards. Surprisingly, there are no records (official ones at least) of the monolith being climbed after it was deserted until as late as 1944. 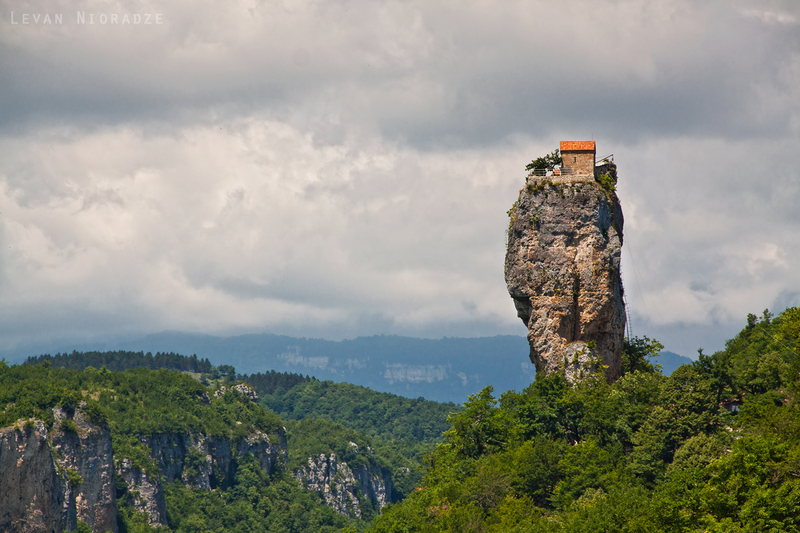 Yet in the 1990s there was something of a revival for the Katskhi pillar, located in the region of Imereti. People started taking an interest in it again from a religious perspective and by 2009 the monastery building at the peak of the pillar had been restored. It became venerated, as it was a thousand years before, as a symbol of the cross upon which Jesus died. It is thought that before Christianity came to the area that it was used for pagan fertility rites – which considering the shape of the monolith is hardly surprising. The monastery is now named for Maximus the Confessor, who died in 662 after being martyred. There is also a new church at the base of the pillar in memory of Simeon of Stylites who spent 37 years on top of a pillar not here but far, far away but who became legendary throughout Christendom. You can see the remains of his pillar in another Kuriositas feature about the Dead Cities of Syria.Since restoration a monk of the Georgian Orthodox Church has been living atop the monument. Visitors from outside are welcome but here’s the rub. Ladies, apologies, but due to the contemplative but highly patriarchal nature of the church you are not allowed to climb up the side of the pillar or to visit the church. For many, perhaps, that news might come as a positive relief.